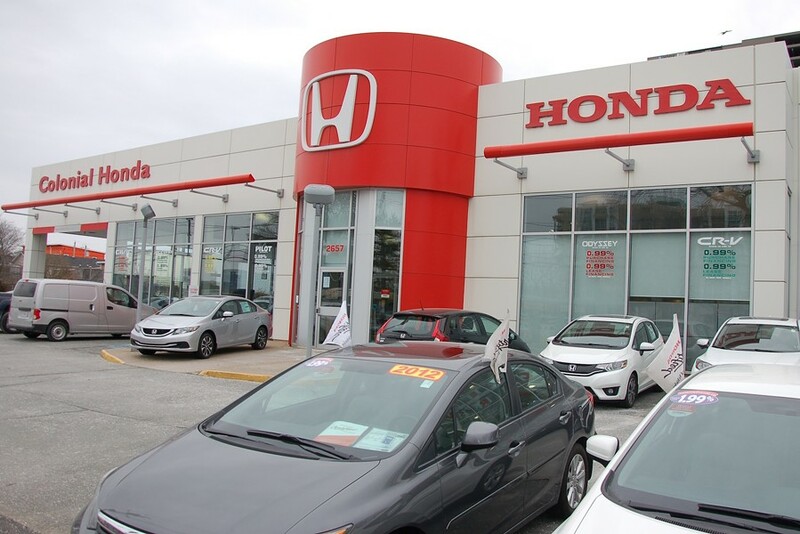 Rob Steele's new Honda dealership on Robie Street. Rob Steele’s been busy since we last left off. 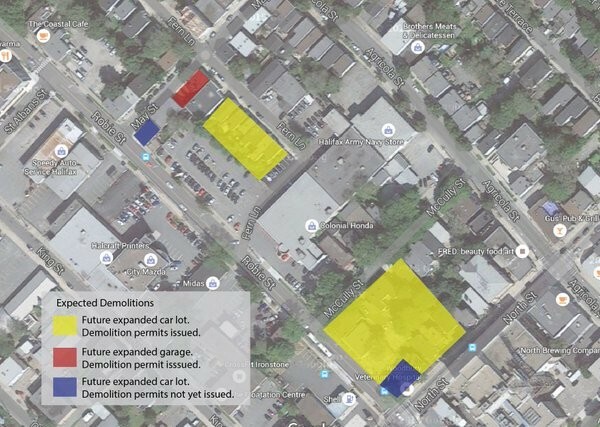 As noticed on the Halifax subreddit, the same companies buying up the houses on Fern Lane and the corner of Robie and May have also been purchasing buildings on the south side of the Colonial Honda dealership. 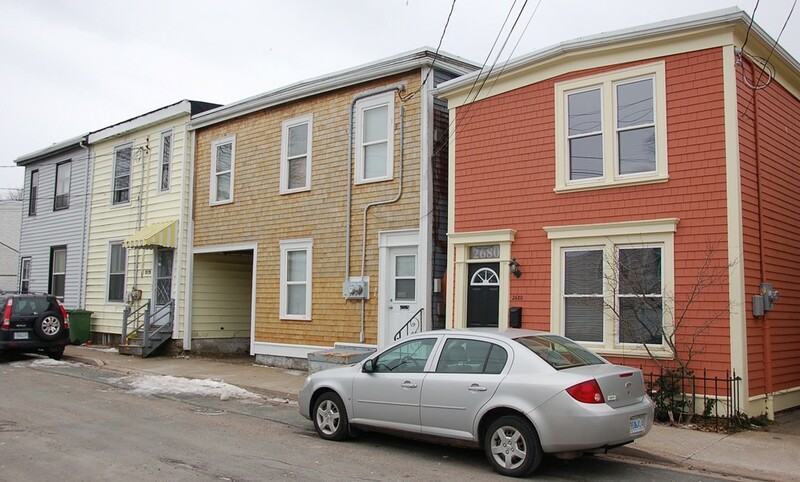 Demolition permits have now been issued for 17 properties on Robie Street, North Street, Fern Lane and McCully Street—including those properties that we first noticed were being bought by Dynamic and 3293629 Nova Scotia Ltd. back in February. Dynamic Properties also appears to have bought 2601 Robie Street (home of the Woodbury Veterinary Hospital) on the corner of Robie and North, though no demolition permits have been issued as of yet for that property. 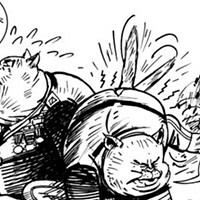 We’ll update this post once we learn whether anything’s actually going to be built on the parcels of land, or if they’re simply destined to be used as expanded show space. Looks like Rob Steele's gearing up for something. 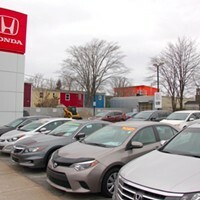 In addition to purchasing Colonial Honda in December, Steele has spent the last several months buying almost all of the Robie Street car dealership's surrounding residential properties. Steele’s Dynamic Properties purchased 2696 Fern Lane (the apartment building diagonally across from the currently under-renovations Ecology Action Centre), and 2688 Fern Lane in September and October of 2015. The remaining five residential properties on Fern (across from the Gatekeeper’s motorcycle clubhouse), and the mixed-use building on the corner of May and Robie were bought between November and January 4 by 3293629 Nova Scotia Ltd.
Stewart McKelvie lawyer Christine Pound, the recognized agent for both Dynamic and the numbered company, confirm the two corporations are affiliated. “The acquisition of the May Street and Fern Lane properties you have asked about is in connection with the Colonial acquisition and future plans are not finalized,” Pound writes in an email. The only property on that block not bought in the last few months (that didn’t already belong to Honda) was 5796-5800 May Street, a row of colourful apartments belonging to a numbered condo corporation. Soon to be the former home of Grund Designer Goldsmith. 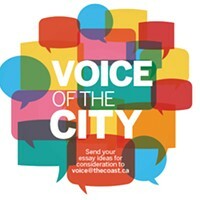 One of the tenants still living in the apartments on the corner of May and Robie didn’t know anything about their new landlord’s plans for the buildings. Neither did commercial tenant Dana Grund, owner of Grund Designer Goldsmith. 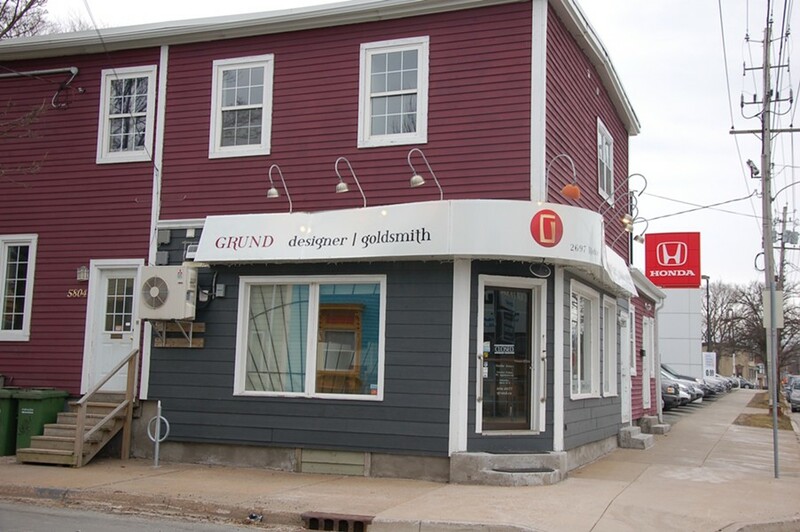 Grund confirms his lease for the studio space has not been renewed, and he’ll be moving his business at the end of April (likely to Dartmouth). In total, the residential assessed value of the eight lots purchased is about $2 million. Were the apartments and houses to be knocked down, it would allow Steele Auto Group to expand its lot an extra 15,000 square feet. The city confirms that no demolition permits have been submitted as of date for any of the buildings. Steele snatched up Colonial Honda from 40 years of ownership by the Megaffin family back in December. In a press release, Rob Steele called the purchase “an important strategic move for us” given the limited room for growth in the Halifax market. Based in Dartmouth, Steele Auto Group represents 22 car brands and has 18 auto dealerships across the Atlantic provinces. Some of the recently-purchased homes on Fern Lane. At least one resident is still living in one of the properties.